Girl Scouts, Boy Scouts & Special Events - Science Explorers, Inc. Classes for Daisy, Brownie, Junior & Cadette troops. All materials to complete a Petal, Award or Badge. Cost is $100 minimum which covers up to 10 girls. $100 deposit due 10 business days prior to class date. Checks only please. Each additional girl is $9.50. Classes satisfy Petal, Award or Badge requirements. Visit our classroom in Golden Valley or we can visit your location for an additional fee. Daisy--our lessons will incorporate any petals needed. Brownies--Senses, Games, Home Scientist, Inventor, First Aid and Bugs. Junior--Investigative Detective, Entertainment Technology, Animal Habitats, First Aid. Cadette--Special Agent, Science of Happiness, First Aid. Senior--Science of Style and First Aid. Science Explorers has worked with many Service Units to provide affordable 1/2-day events for large groups. Please call for more information. Schedule your class today by calling 763-544-5441. Planning a den or pack meeting? Call Science Explorers to find out how we can provided guided science activities for your meeting or event. 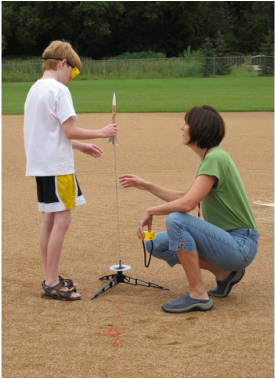 Science Explorers provides an instructor and all materials necessary for a fun, hands-on experience. Please call our office for pricing and more information, 763-544-5441. P﻿lanning a school carnival, science fair or a special event? Call Science Explorers to learn how we can help provide fun, hands-on activities at an affordable fee.